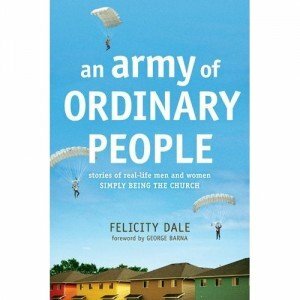 Tyndale provided me with a copy of Felicity Dale’s updated book An Army of Ordinary People. I agreed to review and they’ve given me liberty to review the book as I see fit. This is what personal evangelism looks like. Ordinary people who share their life and faith in Christ with the people around them in natural ways. Vibrant personal faith that is relevant for today. Find the spiritually thirsty people. In reading these stories, effective personal evangelism seems possible. I’m sure there were some colossal failures and lessons learned, but this collection of stories demonstrates some of the successes. Each story highlights ordinary people like you and me, and how they gathered a group of believers or even not-yet believers into small gatherings in houses, parks, coffee shops, etc. The stories of personal transformation was more encouraging to me, rather than the principles of the simple church. Almost every chapter contains a story followed by an offset that lifts out the principle related to the house church, or simple church, or organic church. It’s not a theological manual on the whys and hows, but rather simple story telling that demonstrates what a simple church might look like. If you are familiar with other literature in the simple church movement, you’ll be familiar with these. 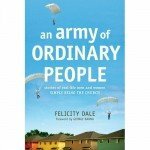 However, in Dale’s book, you get access to the living rooms and kitchen tables of people who actually make a difference. I enjoyed this book, even if I’m still not in full agreement with their definition of church. I’m familiar with the literature and always enjoy their stories. I am blessed by the stories of personal evangelism, cooperation with the Holy Spirit, and dramatic life changes. Last year, I reviewed the Dales book, The Rabbit and the Elephant (Review), which contains more stories and principles. If you want to read more on the house church, you could also start with Wolfgang Simson’s The House Church Book (Review), particularly if you want to know how this movement sees church as distinct and different from small group ministries of a church. Complete book and author info can be found on Tyndale’s author site: here. Evangelism in the 21st century will not be solely dependent on the inviting people to church. The growing number of “spiritual but not religious” people means that more people will need to hear the gospel through conversations with Christians. You’ll need to be able to comfortably talk about your faith in Christ without being obnoxious about it. 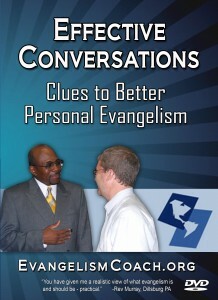 Read more about the Effective Evangelism Conversations in the store. It is a recording of a live seminar I gave in 2012. Can a former taxi driver become a recognized world expert in planting house churches? Tyndale sent me the lastest volume on house churches for review: The House Church Book, by Wolfgang Simson. George Barna’s name is attached to it, just like his name was attached to Tony and Felicity Dale’s The Rabbit and the Elephant: Why Small Is the New Big for Today’s Church. His goal in the book is to show how the gospel can spread virally through rapid formation of simple churches. His global perspective – watching church planting movements in various mission fields around the world — gives him tremendous credibility and enables him to show the effectiveness of this form of church planting. Is there a better way to DO church? 100% were interested in God. 99% were not interested in the church. This startling statistic helps raise the question: Are we doing church so ineffectively that people search for God elsewhere? The proponents of house churches believe that their model is a more effective way, and a more biblically faithful way. With each book I have read so far about house churches (admittedly only two), the authors still maintain a respect for traditional churches. I don’t see them bashing or trashing current church systems. Rather, they see people leaving traditional churches for reasons of burnout, dissatisfaction, and a desire to lessen the programmatic burden of too much to do in their life. I what is happening as well. I was a part of a church that had large gatherings 6 nights a week. Pastor “teached and preached” 5 nights, plus 3 services on Sunday. The same worship team would lead. Even after new bands were grown up, I noticed the same volunteers were running the same programs all the time in the same facility. There were no small groups or cells in this church – everything was done at the facility. People were too busy serving to meet. I tried to meet with one of the ministry leaders and got stood up 6 times because “something came up at the church.” I didn’t want to be part of that system. So we dropped out and found a church meeting in a home. How are simple churches different from small groups? How is simple church different than our small groups that we have every week? How is simple church different than our small community groups programming? Chapter three lays out common elements of a house church. A house church is like a spiritual extended family; it’s relational, spontaneous, and organic. For its everyday life, a house church does not need any higher level of organization, bureaucracy, or ceremony than an ordinary large family. . . [it forms] its own support structure from within. (32). As such, it has some common elements of what they do. It’s important to realize, this isn’t a blueprint, but the skeleton that church planters still have to incarnate locally – the process of contextualization. Meating – a fellowship meal. Teaching obedience – goal is not just knowledge, but faithful obedience to Christ. Sharing – of material possessions, doing life together. Praying – the heartbeat of our relationship with god and for each other. Helping each other lead transparent lives. These are the goals of many small groups. Is this not just another version of small groups? In that same chapter, Simson goes on to explain why this isn’t just a small group of a larger church (46-50), by listing some distinctions between the house church and other types of gatherings. Then in chapter 5, he teases this out a whole lot further by giving a table of 13 differences between house churches and cell churches. Page 75 gives this chart. Ultimately, he answers my question that I ask of his text. Organic, simple and relational, not a professional institutional/organized cathedral/temple/ synagogue. Go to the people, not get them to come to church. Present a shop window for God to work. Team with 5-fold ministry circulating from house to house. Lifestyle discipleship not religious meetings. Real, family-based nurturing by a father. Extended family with children included. Holistic, spontaneous, intimate, dynamic, secret and powerful. A ‘table community’ centered around a family meal. The Lord’s Supper is substantial food. Reflects God’s character: love, truth, honesty, forgiveness, faith and grace. Teaching people to obey God/submission to Christ. Learning is active and interactive. Teach to learn. Christian living is not taught, but caught. Sharing stories. Reaching out to the community. Decentralized and flexible, an interdependent network. High level of commitment of members and bonding. Worship is a living sacrifice not just singing. Offers place for life transformation. Not dependant on trained leaders/clergy. Wolfgang Simson was born in Germany and has German, Jewish, and Hungarian roots. Since 1983 Wolfgang has been involved in the planting of several churches and in church-based leadership positions, while at the same time beginning a life of extensive global research on growing churches, church planting movements, and revival and mission breakthroughs. Wolfgang worked for two decades as a church growth, evangelism, and strategy consultant, researcher, and journalist within various Christian networks and regional and global strategy think tanks in close to sixty nations. 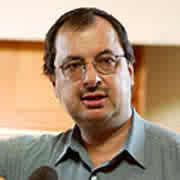 He is the author of twelve books that have been translated into twenty languages. His book Houses that Change the World (originally published in the UK) is widely recognized as a classic of the house church movement. Now revised as The House Church Book, this definitive work offers a comprehensive understanding of the past, present, and future of the house church movement—and the vital role of “ordinary” people in saturating the world with God’s truth. See: Webinar Replay with Wolfgang Simson – Download the MP3 of our discussion. Order: The House Church Book (from Amazon).